Draft: 2000, Colorado Rockies, 10th rd. Clint Harold Barmes (pronounced "BAR-miss")…he and his wife, Summer, have two children, one son, Wyatt, and a daughter, Whitney…is a 1997 graduate of Lincoln High School in Vincennes, IN…played one season of baseball (2000) for Indiana State University after transferring from Olney Central Community College in Illinois… named the 2000 Newcomer-of-the-Year in the Missouri Valley Conference and its first-team all-conference shortstop…led the conference in runs (60), triples (7) and total bases (146) in 2000…compiled a school record-tying 30-game hitting streak, which was the third-longest in Division 1-A that year…played Little League and American Legion baseball and at age 12, faced Jimmy Rollins in the Bambino World Series in Pueblo, CO…given the Colorado Rockies "Good Guy" award by the local chapter of the BBWAA in 2008 for his professionalism and cooperation in working with the media… originally signed by Rockies scout Ty Coslow. Made his eighth career appearance on an Opening Day roster and third straight with the Pirates...Played in just 48 games for the Pirates, missing time while on the DL from 7/6-8/25 with a left groin strain...Made 26 starts total, including 21 at SS, four at 2B and one at 3B...Started at 3B on 6/25 at TB…fifth career start at 3B and first since 8/7/08...Hit .300 (9-for-30) over 15 games during the month of May...Tied his career-high with four hits on 6/19 vs. CIN (eight times). 2013 SEASON: Was Pittsburgh's Opening Day starter at shortstop for the second straight season...Connected off Stephen Strasburg for first home run on 5/4 at PNC Park - his lone homer hit at home in 2013...Hit .395 (15-for-38) in 13 games from 4/27 to 5/13, raising average from .131 to .232...Hit safely in a season-high seven straight games from 5/8-16, going 10-for-26 (.385)...Received his sixth walk of the season on 7/9 - his first since 5/11...Appeared in 1,000th career game on 7/22 at Washington...Hit .296 (16-for-54) during the month of July...Homered three times in a 14-game span between 8/15 and 9/12 after going deep just twice in his first 80 games...Hit a game-winning, three-run homer off lefty Madison Bumgarner in the seventh inning at San Francisco on 8/23 (Pirates won 3-1)...Hit four of his five home runs off right-handed pitchers and four of the five on the road. 2013 POSTSEASON: Started five of the six games at shortstop and went 3-for-11. Made a career-high 142 appearances and 135 starts at shortstop...Ranked sixth in the N.L. with a .972 fielding percentage, third in assists (399) and sixth in total chances (562)...Batted .257 following the All-Star break after hitting .204 in the first half...Hit seven of his eight home runs off righthanders (his lone homer against a lefty came on 7/26 off Houston's Dallas Keuchel)...Was Pittsburgh's Opening Day starter at shortstop...Went hitless in his first 12 at bats before taking Chad Billingsley deep for his first hit of the year on 4/11 at Dodger Stadium...Went 3-for-3 with a pair of doubles and a homer on 4/24 vs. Colorado...Made first career appearance at first base on 5/13; played final two innings there during 12-inning game but did not have any chances...Went 24 straight games without an error at shorstop before making a fielding miscue on 6/3...Hit first career grand slam on 8/12 vs. San Diego's Ross Ohlendorf while also recording a season-high four RBI...Tripled on 8/16 vs. Los Angeles; his first triple since 6/4/09...Batted .269 (46-for-171) in his last 55 games, beginning with his two-hit game in Houston on 7/28...Went 7-for-16 (.438) with a home run and 17 RBI with the bases loaded. Began season on Houston's 15-day disabled list after suffering afractured left hand during spring training on 3/25 - was hit by an Ivan Nova pitch during agame in Tampa...Was reinstated from the D.L. on 4/29 after going 6-for-15 (.400) in fourrehab games...Established career high in walks...Made all 122 defensive appearances (120starts) at shortstop - the most starts there since he made a career-high 122 starts withColorado in 2006...Ranked fifth among N.L. shortstops with a .978 fielding percentage...His12 home runs were his second-highest single season total behind career-high of 23 hit in2009 and ranked sixth among all Houston shortstops for a single season...Hit .266 (72-for-271) with nine home runs and 28 RBI in his final 75 games, beginning on 6/27. Spent the majority of the 2010 season as the Rockies'starting second baseman for the second straight season...started 69 games at second base, and 39 games at shortstop...hit .235 (91x387) with 29 extra-base hits (21 doubles, 8 homeruns) in 133 games...set a new career high with 35 walks, besting his previous high of 31 set in 2009...marked his fifth MajorLeague season to have at least 350 at-bats and start at least 75 games in the Rockies' infield...had a career-long, 14-game hittingstreak from June 23-July 7...hit .386 (22x57) with two doubles, three home runs, 10 RBI and 14 runs scored over the 14 games ofthe streak...it was the second-longest hitting streak for a Rockies player in 2010 (Carlos Gonzalez 16 games, Aug. 23-Sept. 9)...hit .313 in June and .271 in July while starting nearly every Rockies game at shortstop or second base...started 32 of the Rockies33 games at shortstop that Troy Tulowitzki missed from June 18-July 26 with a fractured right wrist...hit .284 (31x109) with twodoubles, three home runs, 12 RBI and 19 runs scored during the 32 games while Tulowitzki was out...had a season-high four RBIon June 29 at SD...went 2x4 in the game, including a lead-extending three-run home run in the 7th inning...had a .982 fieldingpercentage on the season between second base and shortstop...averaged the third-most assists per game (3.07) among NLsecond baseman with at least 60 starts in the field in 2010...finished fourth among NL second baseman by turning 92 doubleplays in 2010...only Kelly Johnson (106 DP's), Rickie Weeks (102) and Brandon Phillips (95) turned more double plays among NLsecond basemen, and each of those players started at least 146 games in the field during the season...his 126 RBI since 2009are the fourth-most among NL second baseman, trailing only Dan Uggla (195), Chase Utley (158) and Brandon Phillips (157)...played 306 games at second base in his Rockies career...only Eric Young (413) has played more games at second in a Rockies uniform...started the third-most games at second base in Rockies history, as only Young (398 starts) and Mike Lansing (269) havestarted more at second base in a Rockies uniform than Barmes. Set career highs in games, at-bats, runs, hits, doubles, home runs, RBI and walks...led allRockies players with 154 games and 550 at-bats (never had more than 131 games, 478 at-bats prior to thisyear)...also set career high in strikeouts, fanning once every 5.0 plate appearances...set Rox club recordsfor homers (23) and RBI (76) by a Rockies second baseman, passing Jose Ortiz's mark in HR's (13 in 2001)and Eric Young Sr.'s mark in RBI (74 in 1996)...his 76 RBI ranked T-8th among 2009 NL middle infielders...played in career-high 124 games at second base (130 starts) and 16 games at shortstop (12starts)...led all NL second basemen with a 3.24 assists per 9 innings while logging a .982 fielding pct. at theposition...scored 69 runs and the Rox went 43-15 in games when he scored at least once...finished secondon the club with 10 HBP (Iannetta, 11) and reached on an error 6 times (also tied for most on theclub)...recorded best first half totals of his career in runs, hits, doubles, triples, HR's, walks and stolenbases...hit 13 post All-Star HR's (2nd on club, behind Tulowitzki) as 13 of 51 hits were HR's after thebreak...hit 4 HR's against the Dodgers, more than any other team he faced...went 9-for-18 with 8 RBI vs.the Cardinals...Barmes was on the Opening Day roster for the 4th time in the last 5 years (began 2007 seasonat Triple-A Colo. Springs)...started 15 of the first 20 games (12-2B, 3-SS)...started 49 straight gamesfrom 5/14-7/4...hit first career pinch-hit HR in bottom of 8th 4/24 vs. LAD to tie the game...had 16 multi-hitefforts in 28 games played in June (.314 AVG)...took off in the No. 2 spot in the batting order after Jim Tracymoved him to the spot his first day on the job - he hit .338 during the club's 17 wins in 18 games stretchin June...finished with 37 hits in June (T-4th in NL), his most hits in any month (career)...19 RBI in Junewere T-12th in NL (also career high for him in any month of his career)...2 doubles 7/9 vs. ATL, including100th career double...led NL with 51 hits from 5/30-7/9, including 21 multi-hit efforts in 37 games in thatspan...batted .192 in July followed by .191 in August...credited with game-winning sac fly in 8th inning -Rox 4th last at-bat win 7/8 vs. WAS...hit homers in consecutive road games, 7/16-17 at SD... went 4-for-57 (.070) from 7/22-8/11; was hitting .274 on 7/21 and dropped to .244 on 8/11...had back-to-back 3-hitgames, 8/12-13...7 of his last 14 hits on the road (from July 16 through the end of the season) wereHR's...hit the 2nd inside-the-park homer of his career 9/22 vs. SD (last: 5/8/05 at FLA off Al Leiter), the 12thin Rockies franchise history; it was the first homer of that variety for the Rox since Seth Smith (7/18/08 vs.PIT) and Jeff Baker (6/17/08 vs. CLE) each accomplished that feat last season...finished the season with6 multi-hit efforts in last 12 games from the end of Sept. into October; .333 AVG in that span. In his best season since his 2005 rookie campaign, Barmes hit .290 with 11 home runs (careerhigh) and 44 RBI for the Rockies...after playing just 27 games in the Majors in 2007 (108 games at Triple-A Colo. Springs), the utility player also set career highsin hits (114), triples (6) and stolen bases (13)...whilesplitting most of his playing time at shortstop (32 starts,36 games) and second base (54 starts, 61 games),Barmes ranked 8th among all NL middle infielders witha .468 slugging pct (min. 300 AB)...had just 9 starts at2B before '08 but still posted a .978 fielding pct. at theposition (6 e, 275 tc)...he also played 12 games atthird base (13 games, 4 starts), centerfield (5 games, 2starts) and right (1 game/start)...batted .350 (41-for-117) w/ 2 outs...in fact, 41 of his 114 hits came with 2outs...hit .312 w/RISP, the 2nd-best mark on theclub...excelled at Coors Field, posting .362 OBP, .330avg. at home in '08...hit .333 (39-117) when leading offan inning...Barmes won a utility job out of spring training,where he played SS, 2B, 3B and CF...was on theOpening Day roster for the 3rd time in the last fouryears (began 2007 at Colorado Springs)...entered at2B and tripled to lead off 9th inning 4/5 vs. ARI in hisfirst PA of the season; was the last position player onRox Opening Day roster to receive a plate appearance...received his first start at SS on 4/13 at ARI andwent 3-for-6 with 4 RBI (most RBI since 5/19/06 vs.TOR); hit 2-R HR in 1st inning to give Rox their first 1stinning lead of the year...had multiple hits in fivestraight contests from 4/12-18... his 9 AB 4/17 at SD tied Helton (also 9 AB) for 2nd-most in a game in club history...homered on 4/23 vs. CHI; first 2 homers hitwhile batting #2 in lineup...took over club's primary shortstop duties when Troy Tulowitzki went on the DLon 5/3 (left quadriceps tendon tear)...matched career-high 13-game hit streak from 5/6-20, which was the2nd-longest active streak in majors at that time; hit .469 (23-for-49) with 3 HR, 8 RBI and 8 multi-hit gamesduring streak...homered in 3 straight games for first time in his career from 5/18-20...left 5/23 game vs.NYM with a with a sprained right knee in the 10th inning; went 2-for-5 with 2 RBI as SS before leaving...placed on 15-day DL (right knee sprain) on 5/24; hit .343 (46-for-134) with 5 HR, 20 RBI in 39 gamesprior to going on DL...finished May with a .391 avg. (27-69), the 3rd-highest mark during the month in theNL...reinstated from D.L. on 6/22 after missing 28 games...started at 2B in 4 of 5 games after returning fromDL and went 2-for-17...would hit .263 the rest of the season...had 4 hits 7/4 vs. FLA, his most since 7/23/06at ARI... drove in Rox' only run 7/10 at MIL (1st inn. single)...made first career start in RF and went 0-for-3 7/30 at PIT...made first start of 2008 as leadoff hitter and went 2-for-5 8/4 vs. WAS...HR 8/13 vs. ARI wasfirst since 5/20 vs. SF, a span of 123 at bats...had consecutive 3-hit games 8/29-30...matched career highwith 4 hits and one RBI shy of career high 5 RBI 9/24 at SF...homered in consecutive games 9/24-25 atSF for 3rd time in '08...hit leadoff in 24 of his last 34 games; Rox went 14-10 when he led off...hit 6th triple9/15, extending career high (led Rox in triples in '08)...9th HR 9/20 vs. ARI was eventual GW-RBI...hit .306(37-for-121) in last 29 games, 10 multi-hit efforts (five 3-hit games). Barmes started the year at Triple-A Colorado Springs after having been on Colorado's OpeningDay roster the previous two seasons...spent most of the season at the Triple-A level, but was recalled to thebig leagues on three different occasions: April 15-30, Aug. 9-18, Aug. 29-end of season...batted .216 (8-for-37)with three doubles, one RBI, and five runs scored in 27 games for the Rockies...went 4-for-10 as a pinch-hitter...started six games, three at shortstop, two in center field, and one at second base...was recalled from Triple-A on April 15 and appeared in 10 games for the Rockies, going 2-for-20...his lone multi-hit game of the seasoncame during that span, as he went 2-for-5 with a double in his first start of the season on April 21 vs.San Diego...was recalled for a second time on Aug. 9 and played in six games for Colorado, going 4-for-9 withtwo doubles and one RBI...hit a pinch-hit double on Aug. 11 vs. Chicago-NL, and stayed in the game in centerfield, playing the ninth inning...marked his first career appearance in center field...the following night,made his first career start in center field, but did not have a fly ball hit to him...was recalled for the final timeon Aug. 31 and appeared in 11 games, going 2-for-8...both of those hits came as a pinch-hitter...played in108 games for Colorado Springs, batting .299 (128-for-428) with 11 home runs, 44 RBI, 20 doubles, sixtriples, and 68 runs scored...played the majority of hisgames at shortstop (90 games), but also appeared innine games in the outfield (8 in CF, one in RF), two at secondbase, and one at third base...hit .331 (45-for-136)against PCL left-handed pitchers and batted .284 (83-for-292) vs. right-handers...was named to the midseasonAll-Star team, the third time that he's beennamed to the All-Star team in his Minor Leaguecareer...hit .298 (31-for-104) with RISP...batted .274(37-for-135) over the first 2 months of the season, buthit .397 (46-for-116) in June to rise from .274 to.331...hit safely in 17 consecutive home games fromMay 14-June 16, tied for the fifth-longest home hittingstreak in the Pacific Coast League...hit safely in aseason-high 12 straight games from June 3-16...batted.397 (23-for-58) during the stretch to raise seasonaverage 35 points from .275 to .310...drove in season-high three RBI on June 22 at Las Vegas...had multiple hits in six consecutive games from June 19-25 to rise from .304 to .332, his highest average of the season...tied his season-high with four hits (4th time) and hit a pair of leadoff home runs in the Sky Sox's 15-7win on July 3 vs. Portland...was named to the mid-season All-Star team...started at shortstop for the PCLclub and went 0-for-1 with a sacrifice fly in a 7-5 loss to the International League All-Stars on July 11 atIsotopes Park in Albuquerque...batted .252 (30-for-119) over his last 32 games in the Minors to drop from.317 to .299. The club's starting shortstop for most of the year, Barmes spent the season on the 25-man roster and batted .220 with seven home runs, 56 RBI, 26 doubles, and 57 runs scored in 131 games for Colorado...established career highs in several categories, including hits (105), doubles, runs, RBI, walks, and total bases (160)...tied with teammate Cory Sullivan for 2nd in the major leagues with 19 sacrifice hits, T3rd-highest single season total in club history...grounded into just two double plays in 478 at-bats, an average of one every 239.0 at-bats...made him hardest player to double up in National League as the ratio also ranked third in the majors behind only Ichiro Suzuki and Grady Sizemore...ranked among club leaders in sac flies (T1st, 7), hit by pitch (2nd, 9), RBI (5th), doubles (T5th), and home runs (T5th)...led club with six bunt hits...was one of six Rockies with a qualifying batting average...his .220 average was the lowest qualifying average in the major leagues, also lowest in club history...Barmes' .264 on-base percentage was lowest in the N.L. and second-lowest in the majors among qualifiers in 2006...ranked 9th among N.L. shortstops with a .969 (18 e/581 tc) fielding percentage...had 4.87 total chances per nine innings, third-highest ratio in the league...started 111 of the club's first 125 games, but had starts in just 11 of final 37 beginning Aug. 24...played four games (no starts) at second base in September, his first appearances at a position other than shortstop since start at second on Oct. 2, 2004 at Houston...hit safely in nine of first 11 games through April 15 at .333 (16-for-48), highest mark all season...from April 16-May 30, batted .139 (19-for-137) in next 37 games to drop to season-low .189...hit .291 (53-for-182) over 50 games from May 31-Aug. 4, rising to .240...in final 33 games, batted .153 (17-for-111) to finish at .220...made second consecutive Opening Day start at shortstop on April 3 vs. Arizona...had season-high four RBI on May 19 vs. Toronto...led all Rockies with a .333 (30-for-90) avg. in July, his highest figure in a full month since April '05 (.410)...four of his seven homers came in July, including three in a span of six games July 9-17...hit safely in a career-high 13 straight games July 9-25, 2nd-longest hit streak by a Rockie in '06...that streak included season-high four hits July 23 at Arizona in Rockies' 9-7 come-from-behind win...would hit his final home run of the season the next day, July 24 vs. St. Louis, as he would end the year with a 43-game, 149-AB homer drought...had just two RBI final 25 games, both on Sept. 24 vs. Atlanta...July 21 at Arizona was first and only career game with multiple walks...hit two-out, RBI single in 11th inning Aug. 5 at SF, providing winning run in Rockies' 2-1 extra-inning victory. Barmes was well on his way to NL Rookie of the Year contention before he suffered a broken left collarbone on June 5...was among nine players receiving votes for NL Rookie of the Year...sustained injury in a fall while carrying deer meat up stairs at his apartment...was on the disabled list from June 6-Sept. 1, missing 78 games...despite the missed time, still ranked among rookie leaders in several offensive categories, batting .289 with 10 home runs and 46 RBI...ranked among NL rookie leaders in multi-hit games (3rd, 30), hits (4th, 101), total bases (4th, 152), average (5th, .289), runs (5th, 55), RBI (T5th, 46), doubles (T5th, 19), slugging (7th, .434), stolen bases (T7th, 6), extra base hits (8th, 30), and home runs (9th, 10)...had 2nd-longest hitting streak of any NL rookie, career-high 12-game streak from May 4-17...ranked among club leaders in stolen bases (3rd) and runs scored (5th)...batted nearly identical .289 (26-for-90) vs. lefties and .288 (75-for-260) against right-handers...hit .348 (16-for-46) with RISP and two outs...had a .958 (17 e/247 tc) fielding percentage in 80 games/78 starts at shortstop...his 17 errors were most in majors among any player with 80 or fewer games and was T2nd-most among NL shortstops...split most starts between leadoff (54) and second (22) spots in order...opened season by going 4-for-6 with a walk-off two-run homer off Trevor Hoffman in 9th inning on Opening Day, April 4 vs. San Diego...game was tied at 10-10 when the long ball ended the 12-10 victory...Barmes became the first rookie in major league history to hit a walk-off home run on Opening Day...it was the 21st Opening Day walk-off in Major League history and the second by a Rockie, as Dante Bichette hit a walk-off three-run homer in the 14th inning on April 26, 1995 vs. New York-NL...the Bichette game was first regular season contest at Coors Field...it was the first walk-off homer by a Colorado rookie...batted .410 (34-for-83) with four home runs, seven doubles, 20 runs scored and 14 RBI in 21 games in April...was named the National League Rookie of the Month for April, joining Jason Jennings (August of 2002) and Garrett Atkins (June of 2005) as the only Rockies to earn that honor...Barmes became the first rookie to bat .400 or better in April (minimum 50 plate appearances) since Montreal's Andres Galarraga hit .415 in April of 1986...he is one of just three rookies to bat over .400 in March/April since 1969 (also Willie Randolph in 1976)...was one of just 13 occasions for a player to hit over .400 in a month in 2005, the eighth-highest mark by a player in any month all year...Barmes had three four-hit games in April, becoming the first rookie in the expansion era (since 1961) to accomplish that feat...posted a career-high 12-game hit streak from May 4-17 at .362 (21-for-58) with three HR and 12 RBI...posted career-high five RBI on May 13 vs. Arizona as it was his first career game with three extra base hits...became the first NL player to reach 50 hits on May 12, going 2-for-5 to give him 51 hits on the year...homered on June 5 vs. Cincinnati, his final game before going on the disabled list...suffered broken left collarbone while hauling deer meat up stairs at his apartment on evening of June 5...was placed on the disabled list on June 6...at time he landed on DL, led Major League rookies in most offensive categories and ranked seventh in NL with a .329 average...after recuperating from the collarbone injury, was assigned on rehab to Double-A Tulsa of the Texas League from Aug. 23-31 and hit safely in 7 of his 8 games...was activated by Rockies on Sept. 2...went 0-for-5 in his return on Sept. 2 vs. Los Angeles, first game with Colorado since June 5...overall, batted .216 (27-for-125) with two HR and 12 RBI in 27 games after his return from the DL, dropping season figure from .329 to .289...went 3-for-6 with a homer, double and 3 RBI in season finale on Oct. 2 at New York (NL), one of two 3-hit games after his return...batted .333 (20-for-60) with 3 HR and 12 RBI in 22 spring games for Colorado...played for Escogido in Dominican Winter League following season. Spent the final five weeks in the majors after capping off what was his finest minorleague season...led the Pacific Coast League and Rockies organization with 175 hits, the second most inSky Sox history and third most ever by a Rockies minor leaguer...he ranked eighth in the PCL in average(.328) and tied for second in both doubles (42) and runs scored (104) en route to being named a PCL All-Star...Clint had two stints in the majors, one game in early in August and then a permanent promotion laterthat month...was recalled by the Rockies Aug. 14 as insurance for Aaron Miles who was hit in the hand bya line drive during batting practice...got the start at second base that night in Pittsburgh, going 1-for-3before returning to the Springs immediately after the game...recalled again Aug. 28, Clint went on to bat.282 with a pair of homers and 10 RBI in 20 games (17 starts) for the Rockies...played both middle infieldpositions, making nine starts at shortstop and eight at second base and committed only 2 errors in 141.1innings...cracked his first career home run the night of his second recall, Aug. 28 at Florida, a 3-run shotoff Carl Pavano which gave Colorado a 3-2 lead in an eventual 4-3 loss...the 3 RBI set a career high, atotal he matched Sept. 11 vs. San Diego...with the Sky Sox, Clint went hitless in successive games onlythree times and had six different hitting streaks of at least seven games...was the organization's Player ofthe Month for April, batting .395...hit a game-winning solo home run in the 10th inning to give the Springsa 3-2 victory at Nashville on May 31...hit .353 in June with 12 doubles, 5 homers and 13 RBI...was thePCL's starting shortstop at the Triple A All-Star Game on July 14, going 0-for-3 in a 4-3 loss to the International League. Spent the season at Colorado Springs (AAA) before earning himself a September call-up with the Rockies...tied for the Pacific Coast League lead with 35 doubles and finished 5th in games played (136)...recalled by the Rockies on Sept. 5, Barmes started at shortstop that night in his major league debut vs. Los Angeles...was 1-for-3 with a single off Kazuhisa Ishii for his first big league hit...the very next day, Sept. 6, Clint went 3-for-3 with a double and his first RBI, a run-scoring double off Odalis Perez...wound up batting .320 with 2 doubles and 2 RBI in 12 games as a Rockie...started 8 games, all at short...with the Sky Sox, Barmes posted a team-best 16-game hit streak from Aug. 8-22 and a 15-game streak, May 8-25...delivered a game-winning RBI double in the bottom of the 9th to defeat Oklahoma 2-1 on June 27 and then a 2-run single in the bottom of the 10th for a 5-4 win on July 13 vs. Salt Lake. Named a midseason and postseason All-Star by the Southern League in his first summer at Double-A...his 15 homers and 60 RBI were not only single-season bests but also surpassed his career totals entering the year of 7 HR and 53 RBI...the 15 long balls actually wound up leading the club...Carolina's everyday shortstop and leadoff man, Clint played 102 games at short in helping the Mudcats to the playoffs...compiled a 17-game hitting streak, May 31-June 21...was the Southern League's "Hitter of the Week" for June 7-13...represented Carolina in the Double-A All-Star game on July 10 at Norwich, Conn...Clint later played with the major league club at the Hall of Fame exhibition game on July 29 in Cooperstown, NY, going 2-for-5...was forced to miss the last 3 weeks of the season with a fractured left hand...officially on the disabled list from Aug. 8 to Sept. 17, Clint was not able to participate in the postseason series against Jacksonville...played for the Mesa Solar Sox in the Arizona Fall League. Began the year on the disabled list from April 5-30 following left hand surgery...still played 74 games at shortstop for Asheville (A), batting .260...promoted to Salem on July 23 and made his High A debut on that day vs. Frederick, going 2-for-4...hit .248 in 38 games with the Avalanche, all at shortstop. Opened his professional career with Portland (A-short season) before finishing the year at Asheville (A)...his 4 triples with Portland ranked 4th in the Northwest League...hit safely in 33 of his 45 games in short-season action...promoted to Single-A on Aug. 9, Clint struggled in the South Atlantic League, batting just .173 (14-for-81) with no homers and 4 RBI. May 23, 2016 Omaha Storm Chasers released SS Clint Barmes. April 2, 2016 SS Clint Barmes assigned to Omaha Storm Chasers. April 1, 2016 Kansas City Royals signed free agent SS Clint Barmes to a minor league contract. 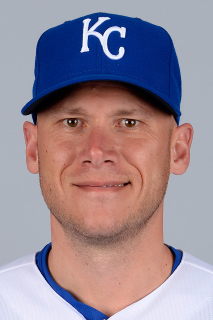 March 28, 2016 Kansas City Royals released SS Clint Barmes. February 18, 2016 Kansas City Royals signed free agent SS Clint Barmes to a minor league contract and invited him to spring training. February 18, 2016 SS Clint Barmes assigned to Omaha Storm Chasers. November 3, 2015 SS Clint Barmes elected free agency. December 5, 2014 San Diego Padres signed free agent SS Clint Barmes. October 30, 2014 SS Clint Barmes elected free agency. August 25, 2014 Pittsburgh Pirates activated SS Clint Barmes from the 15-day disabled list. August 18, 2014 Pittsburgh Pirates sent SS Clint Barmes on a rehab assignment to Indianapolis Indians. August 14, 2014 Pittsburgh Pirates sent SS Clint Barmes on a rehab assignment to Altoona Curve. December 13, 2013 Pittsburgh Pirates signed free agent SS Clint Barmes. November 21, 2011 Pittsburgh Pirates signed free agent SS Clint Barmes. October 30, 2011 SS Clint Barmes elected free agency. April 29, 2011 Houston Astros activated SS Clint Barmes from the 15-day disabled list. April 27, 2011 Oklahoma City RedHawks sent 2B Clint Barmes on a rehab assignment to Corpus Christi Hooks. April 25, 2011 sent 2B Clint Barmes on a rehab assignment to Oklahoma City RedHawks. March 31, 2011 Houston Astros placed SS Clint Barmes on the 15-day disabled list retroactive to March 26, 2011. Left hand fracture. November 18, 2010 Colorado Rockies traded 2B Clint Barmes to Houston Astros for RHP Felipe Paulino. August 30, 2010 Clint Barmes roster status changed by Colorado Rockies.